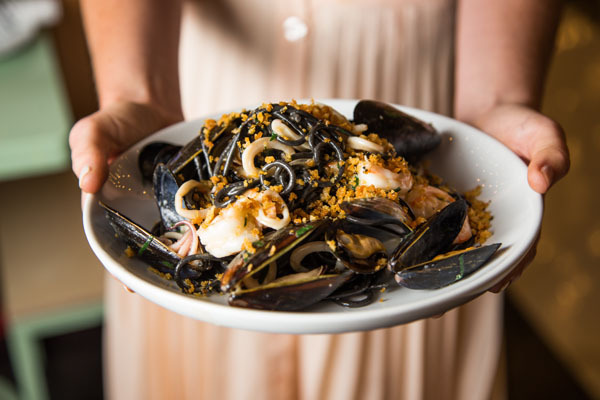 SEAMORE’S: Quality Seafood, Done Right! It’s become common knowledge – even outside the food world – that the earth’s oceans have declining stockpiles of our favored fishes. Soon, we might see a future with no bluefin tuna, salmon or other high-end fish that America and the rest of the developed world (especially Japan) has come to adore. 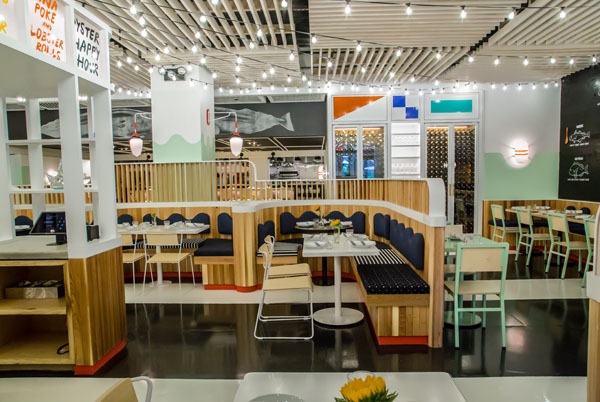 That is the thesis behind Seamore’s, an ever-expanding seafood restaurant in New York that’s recently opened its sixth location, this time in the Brookfield Mall. 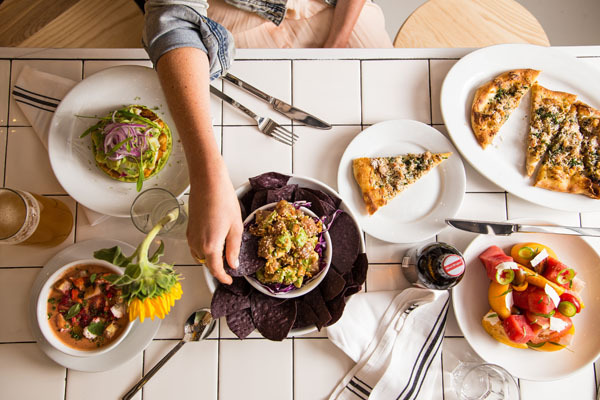 Having dined at their original location in Nolita, I knew what to expect: fresh fish, inventive combinations of flavor, personable staff and charming décor. 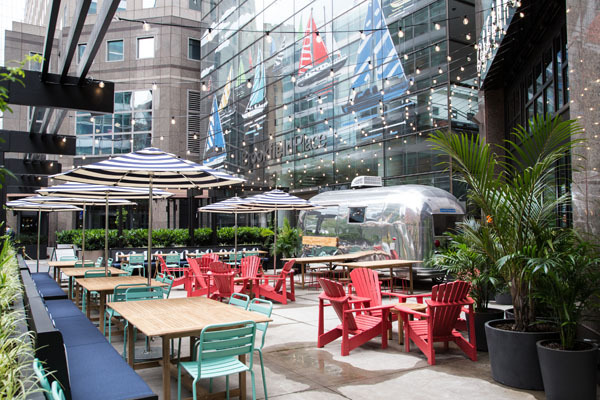 And that’s exactly what I found at their newest location, in Battery Park City. Stepping into the restaurant, I was immediately struck both by its nod to the sea and how chic the space was. As for the food, the portions were large and more importantly, of high quality. We started with scallop crudo served with crispy plantains, avocado, lime, salsa verde and a tune poke with ponzu, peanut and avocado. The scallope was a flavorful dish, executed with care and precision. We loved the acidity and obvious freshness of the plate. While the tuna evoked Thailand, both dishes were perfect representations of the thought and care the restaurant puts into its dishes. Moving onto the mains, we loved the idea of the Reel Deal, a build-your-own fish dish served with sustainably caught fish and four options for sauce. Here, we had monkfish with a miso butter sauce that paired perfectly with the delicate, flaky nature of the fish. We also loved the blackened shrimp tacos, which was served with molé blanco, avocado, queso fresco, jalapeño aioli.